Families often tell us that they find the NHS Continuing Healthcare assessment process – emotional, difficult, lengthy and immensely frustrating. 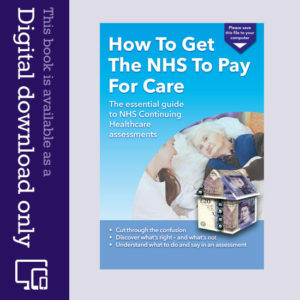 For many, it appears that the whole assessment process to determine eligibility for NHS Continuing Healthcare Funding (CHC) is ‘slanted’ against them, or else, designed to frustrate their relative’s entitlement for free funded care. 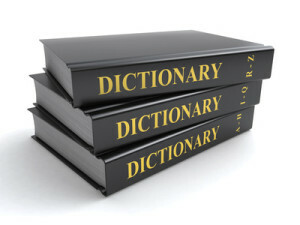 The process is clearly not as straightforward as it is perhaps intended to be – whether you’ve wrongly been told that ‘it’s a waste of time because your relative simply won’t qualify for CHC’; or been given misleading information, such as, ‘you can’t bring an advocate along with you’; or have been subjected to inaccurate or incompetent assessments; or lengthy and unreasonable delays which cause families frustration whilst the NHS drag out the eligibility assessment process. Sometimes, the process can be so lengthy, that, often what starts out as a current assessment for CHC Funding for an individual going into a care home, ends up becoming a retrospective claim, as the individual has passed away whilst trying to secure funding. In the meantime, they may have had to sell their home to pay for their care. We thought it would be helpful to look at matters from the NHS’s perspective, and consider how their assessors might argue the case against an individual seeking NHS Continuing Healthcare Funding. Here is an example to help you understand some of the common arguments that might be raised by Clinical Commissioning Group assessors. As you will know from reading our many other blogs, in order to obtain free funded NHS care (known as NHS Continuing Healthcare Funding), your relative first has to demonstrate that they have a ‘primary health need’. In simple terms, that is clinically assessed nursing or healthcare needs of a nature over and above what the Local Authority (Social Services) could ordinarily be expected to provide, and are more than just incidental or ancillary to accommodation needs which the Local Authority are under a duty to provide. For further reading: ‘Primary health need’ made simple – what does it really mean? If your relative does not meet the eligibility criteria for fully funded NHS care, then they should automatically be considered for NHS-Funded Care instead to meet the nursing element of their care needs in a care home. Read: Have you considered NHS-Funded Nursing Care (FNC)? Mary has suffered two strokes and is in cognitive decline with vascular dementia; is immobile and requires use of a hoist for transfers; needs full time assistance of two carers; help with her mobility; frequent repositioning to maintain skin integrity and prevent pressure sores; cannot use her left arm due to weakness and has to use a spouted beaker when drinking to prevent spillage and burns from hot drinks; has difficulty swallowing – her food has to be pureed and her drinks thickened for consistency; is doubly incontinent and relies on staff to meet her needs in a timely manner in order to maintain her dignity and protect her skin from damage; has behavioural difficulties; limited awareness of her surroundings; is unable to reliably communicate her needs; and is totally reliant on her carers to anticipate her needs. Mary has routine care to maintain her safety and to ensure that her needs are met. The care plans are reviewed routinely and the care records indicate that staff can manage her needs on a consistent and predictable basis. Her nursing care and other needs are not of a nature entirely beyond which the Local Authority could lawfully provide. Although Mary is immobile, unable to assist with her care, requires her skin monitoring for pressure sores, medication administering, nutritional needs monitoring and oversight of a Registered Nurse 24 hours a day, those needs were routinely met and should have been funded by NHS-Funded Nursing Care instead. Primary health need is not about the reason why someone requires care or support, nor is it based on diagnosis, it is about the overall picture of care needs taken in their totality i.e. about the impact of the illness and disability. The nature and quality of Mary’s health and care needs do not demonstrate a level of eligibility of NHS Continuing Healthcare, and do not produce a primary health need. The quality of interventions required, are not in themselves, over and above that which a Local Authority could legally provide with the assistance of outside organisations e.g. GP/District Nurses etc. Furthermore, any element of nursing care required to look after Mary in the care home has been incidental and ancillary to the provision of accommodation, which the Local Authority Social Services are duty-bound to provide in line with the Care Act 2014, anyway. There is no evidence of any unmet needs, and all the care provided to Mary is predominantly of a routine and pre-planned basis and linked to her activities of daily living. Her care is delivered routinely by care staff with access and oversight of a Registered District Nurse, as required. NHS Funded Care is more appropriate. Although Mary developed cognitive and physical impairment, which impacted upon her behaviour, communication, continence, mobility, nutritional and psychological domains, she declined food, fluids and medication, resulting in a large amount of weight loss, was immobile and required assistance to re-position her every two hours both day and night, there is nothing based on the available evidence to suggest that her care needs would warrant them being described as complex – whether taken in isolation or totality. Interactions between the various care domains do not make Mary’s needs for care delivery complex. There is no evidence to support a level of complex needs – either individually, or in their interaction, or totality. Care providers are able to use their skill and judgment to monitor and intervene in Mary’s needs, which are not complex, and are within the remit of social services’ responsibility to provide. Her needs can be met through routine pre-planned care. Whilst Mary undoubtedly has needs in many of the Care Domains, the totality of those needs do not combine to create a quantity or intensity of need or care which will lead to a primary health need. 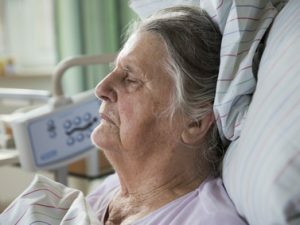 She does not require sustained care intervention or continued care and monitoring. Intensity is about the quantity or length of care interventions. 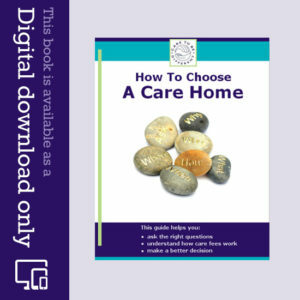 Care is being delivered in a timely manner by two carers in line with say moving and handling guidelines. The records do not show a sustained or intense level of need, or that the care delivery was taking a lengthy period. Is about the degree to which needs fluctuate and thereby create challenges in managing them. Mary’s needs do not fluctuate, are settled, stable and care is provided on a routine basis within the remit of pre-planned care plans. Care is delivered by two members of the care team together with the oversight and access to a Registered District Nurse. Her needs could readily be anticipated, even though she is unable to inform her carers of her needs. The care provided was maintained and does not fluctuate at short notice. Whilst timely care, monitoring and supervision is required around the Care Domains, her need for monitoring and supervision is not unpredictable and remains of a nature and extent which a local authority could lawfully provide. 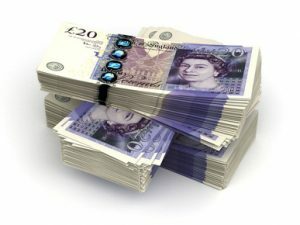 Having considered the nature, complexity, intensity and unpredictability of the totality of Mary’s healthcare needs, and the interaction between those needs, together with all supporting evidence, the CCG’s conclusion of the assessment, indicates that Mary does not have a primary health need and would therefore not meet the criteria of NHS Continuing Healthcare Funding. Despite evidence of a health need in various Care Domains, which interact and impact upon each other, Mary’s care is routine, managed and monitored successfully in accordance with the care plans, and does not justify an award for NHS Continuing Healthcare Funding, as those needs could be met by the Local Authority. Alternatively, any nursing needs element could be met by the NHS-Funded Nursing Care Package. This scenario might be a typical example of a CCG’s position. You can now understand, how, even in cases where it may seem obvious that NHS Continuing Healthcare Funding ought to be awarded, that some CCG assessors can subjectively interpret the Care Domains, 4 Key Indicators and totality of needs, to present an entirely different picture, and effectively undermine an individual’s chances of securing CHC Funding. When you consider that so many people are in care, it is often quite staggering to learn that so few people actually qualify for CHC Funding. Our message is – don’t give up. Fight on! Perseverance is the key, and if you feel that you have a strong case, you must Appeal. Don’t forget, you can always seek specialist advice whether it is general advice, help with assessments or appeals, or even advocacy support. Nature, Complexity, Intensity and Unpredictability. The NHS’s Four Horsemen of the Apocalypse! The DST domain scores, whilst arguable to a certain extent, do at least have an element of black and white about them. The fearsome four are (by design) highly subjective and can be manipulated by nurse assessors/CCG’s to ‘justify’ refusal of CHC funding, purporting to be on healthcare grounds as opposed to financial gate keeping. As it is with the Law, where a defendant without legal representation will inevitably face a poor outcome, the same is true with CHC funding. I would strongly recommend (through experience) employing an experienced advocate who can speak the same language. Hi Peter, I agree entirely with you comments but what are folk without the means to employ legal representation do? Having just revisited Luke Clements article on the subject it reinforces everything you have said about the design of the key characteristics. Totally subjective and clearly manipulated by assessors to bamboozle families in crisis. Families are under enough pressure without the huge strain of trying to get to grips with the NHS framework the Checklist, DST, MDT, FNC, IRP and every other acronym they have devised to frighten off folk even attempting to apply for funding. All I have learnt throughout this process is that NHS CHC isn’t there to help and support families in need. It doesn’t care about the people that are suffering and are in need of nursing. It’s sole purpose is protect its budget! They ignore what the law and the ombudsman have said which is supported by the number of people eligible for NHS CHC in England falling recently. Figures show (Feb 2019) that the number of people eligible has fallen in the last quarter to 54,754 a reduction of 1,150 over the last quarter. It’s 13% over the last four years. So even with an ageing population with complicated health needs, it doesn’t take Einstein to realise what CHC/CCG have been tasked to do! Peter please share any advice you have on the key indicators. CTBD more on this topic please. Thank you so much for the advice. I complained to the IRP coordinator about the CHC member having direct involvement in the decisions made about our relative and I was told exactly the same as you have just outlined. They are not on the panel to make a judgement but I still have issues around the transparency of a supposed Independent review, when clearly the CHC member will want to uphold the decisions taken and exonerate not only themselves but the CCG they work for!! All highly irregular. SAL can you elaborate a little more about your experience at IRP. How long were you allowed to speak? Were there any time constraints? It all feels like we will be disadvantaged from the outset if as you say IRP chairs are contacting CCG before the review to give them details of the agenda! I have made the focus of our appeal the Key Indicators to demonstrate that our relative had a PHN, but it might be the case that the focus will be on the scores awarded?? In your experience, what seemed to be the area of focus? I’m guessing from your post that your were turned down at IRP and are now on to the Ombudsman? Good Luck! No doubt I will be next in line! One thing is for sure, the Ombudsman are going to be busy! Thank you CTBD, keep up the good work and PLEASE more on this area of concern. Our experience of IRP began when we met the chair on arrival and she immediately stated that ” if we did not agree with their decision we could continue to appeal via the Ombudsman ” ! Seems they had already made their minds up on the outcome before we had a chance to make our case. In fairness I was given time to speak , the meeting went on for 2 and a half hours .I pointed out all of the flaws in the process , and many areas where the CCG had not followed the National framework and had misrepresented Mums needs and much , much more . These were briefly mentioned in the IRP report but no action was taken . It appeared to all be perfectly acceptable . You will definitely need to concentrate on the four indicators as these have more bearing on the eligibility decision than the DST scores . Even when there are 2 severe weightings on the DST , eligibility is still being denied. This was certainly the case with us. Try to make everything as simple as you can when presenting your loved one s needs and cross reference them to the indicators . It may be worth concentrating on one area in particular as any one of the indicators alone can identify a PHN , you do not have to prove they were eligible in all four . Also it’s worth directing questions to the LA representive as to whether they consider your relatives needs to be within the lawful limits that they can provide . Do this at every opportunity. This is where the law lies , however they will try to ignore this . Our case has already been to the Ombudsman , who upheld the IRP decision . He certainly offered little help to me and in my opinion , sat very firmly on the fence ! His only concern was that the correct people were sitting on the IRP panel . He stated he could not question their decision or how they arrived at it . Our case was with the Ombudsman’s office for over 2 years in total !!! A joke in itself ! However MW , I am continuing to argue our case via alternative means , but cannot go into that at this stage . My main advice is to make sure you take someone with you to take your own notes and throw everything you can at the Social Services representative . Ask HOW he/she considers your relatives needs to be within the lawful limits at every chance . As I said in our case the IRP report was very much cherry picked in the CCG s favour and although I did send a letter to them pointing this out straight away , they refused to comment ! So sad that sick and vulnerable people are being treated in this manner . Hope this is of some help to you and others . I would not have had the strength or confidence to continue my fight on behalf of my late Mum without this web site , the information I have gained here is invaluable . Thank you so much CTBD . Hi SAL, thank you so much for replying to me and for documenting your experience. I will certainly be taking your advice with regard to the key indicators as well as the point you raised about the social services. I want to speak uninterrupted, so I hope I am allowed to do that? I guess we will be experiencing the same outcome, given what you have said about the IRP chair telling you that you could appeal to the Ombudsman! Hardly a fair and transparent process. I’ll be interested in the alternative/next steps you have taken? Maybe you be able to share that in the future? In the meantime, thanks again for your help and Good Luck! Hi All I just got my Partner’s Care Fees refunded from day of CHC Funding Assessment on 7thSeptember 2016 .He has Advanced Dementia, Bedbound, unable to use right hand,Peg fed, has a catheter and unable to speak only looks at you when you call his name, He has grade 4 Pressure sore since 11th July 2016. He was assessed as Social Care. I appealed but I still did not get the CHC Funding .I took the case to NHS England IRP and they were very helpful and I managed to get the CHC Funding for him. It took 3 years but I never gave up. Most of the Assessors are not qualified and have no discretion or common Sense.If I had been turned down by IRP I would have gone to Ombudsman as I knew my partner should have Primary Health Care not Social Care. I was mentally and physically exhausted but I am pleased I never gave up.I was glad I wrote down every thing since he had the stroke in 2015 minute by minute from hospitaluntil today to show that I know more about my loved one’s health than the officials. Well done for persevering Mahani and not giving up. This example is almost identical to what we have experienced with our mother (without the strokes). How would we appeal this? And would we be likely to succeed? Hi Kay Me too with my mother. Just lost the local resolution appeal. Will go on to IRP but with little realistic chance of success. Sadly CCG decide the rules and now have a fairly fixed definition of eligibility and Mary (and my mother) fit that. Hello Kay, I sympathize with your situation. From my experience the whole process from Checklist to IRP has been a huge strain on our family, with no support from CHC/CCG. It is a battle ground which for families (unless you have enlisted a law firm at huge expense) takes over your life! I have spent hundreds of hours, probably thousands completing documents and appeals and attending meetings. This on top of work, family life is at times overwhelming. But I do it because I firmly believe my late father had a PHN and was eligible for the funding. IMO the process is designed to put families off appealing, knowing that it is stressful, believing it to be a waste of time and that without experience/expertise and energy it is pointless. But if families don’t stand up for the rights of their loved ones then CCG’s will be rubbing their hands! The questionable practices that take place will continue unchallenged! I hope you will challenge them! This site is excellent for the information on absolutely every aspect of the process , with genuine folk who like me feel that their loved one has been wrongly denied funding. 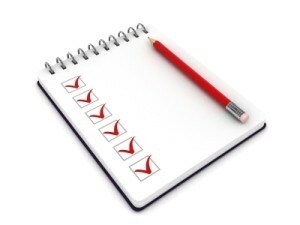 Does anyone know about the correct procedure regarding ‘the scoring’ after a CHC review meeting? Our relative did get the funding again but we have just requested the report ( a year later) to find that one of the scores has been lowered from ‘severe” to high’. In the meeting we all felt that it had been agreed it would remain at severe. It wasn’t challenged by the assessor at the time and they seemed to agree. the meeting wasn’t minuted. Do they have the ability to change the scores after the meeting? Can anyone please help with these questions? In your case, you believe that everyone agreed to keep the score of severe. This should be in the recorded notes of the meeting, with a statement saying, everyone agreed or the family disagreed that the level was to be downgraded to a High, along with the reasons for making that award. If this does not appear on the paperwork you have receieved, I suggest that even though you relative still retained the funding there has been some error or manipulation going on. I would definitely make a complaint to CCG. You need that score of Severe to be maintained for your next review. You will be disadvantaged next time round by having a lower starting point! If that makes sense. Ultimately though, as you go through this protracted process, it’s less about the scores and more about the totality of the individuals needs which is judged by CHC using the four main characteristics ie Nature,Complexity, intensity, and unpredictability that will determine if your loved one fits into the category of having a Primary Health Care need!!!! They tell you that the scoring process is all that is required to judge eligibility but that’s often not the case. My father’s nursing home was in my opinion mostly full of people who would have been in hospital being nursed if they hadn’t been placed in a nursing home, like he was. This speaks volumes! Nursing homes requiring the skill of nursing staff to keep residents safe and in the best possible health. They are not residential homes or assisted living homes. Anyone who is placed in a nursing home at the direction of the professionals ( with the FNC tag attached!! )should in my opinion be funded through the NHS, which they spent a life time paying for! Families shouldn’t have to fight for this via publicly funded commissioning groups which are costing thousands to administer and often critised for. As tax payers I feel we have to highlight what is happening to our loved ones. Complaints about CHC to the ombudsman hit a record high of 628 in the 12 months to April 2017 that is double the 319 figure for 5 years ago. No wonder!!!! I will be adding to that figure shortly. Tom, complain, complain and complain. This systematic stripping the elderly of their assets has to stop! My father worked from 14 till he was almost 70 . He paid his taxes, never took a penny in benefits. He became ill through a degenerative neurological disease and at 83 years of age was told by the Consultants at the hospital he needed care in a NURSING home,for which he paid over a thousand pounds a week until he died! Cameron promised to put a cap on care home fees in his manifesto but Brexit now rules and until we are finished with that I’m afraid the practice of making that generation pay to die will continue!!!!!!! Please please CTBD and followers your comments. Thank you for this, is there any example of how you could counteract these statements? I have to say when we got Dad’s assessment, there wasn’t anywhere near the level of detail given as in the examples above, that’s why I am challenging it on these 4 indicators, as his scoring wasn’t ‘high enough’. I went through the Framework and attempted to frame my answers/arguments based on evidence I gathered and the ‘best practice guidelines’ questions in the appendix of the Framework. At the LRP, the independent assessor said I had ‘made good points’ and thanked me for them. I’m still awaiting the outcome of the LRP so will see how they respond! Hello Christine, I’ve been looking for the same examples and more help in this area of appeal. I found that the related article from the 15th Feb 2019, titled Understanding the Four Key Indictors to be helpful. The Primary Health Need has to be proven using these characteristics. Hope this helpful. I’m hoping CTBD will be able to help with more advice on how a score of severe Cognitive Impairment interacts with the key indicators. Cognition impacts Nutrition. My father does not understand he needs to eat properly to maintain a healthy weight and have good health. He needs to be encouraged to eat at mealtimes, and food cut up for him or he risks choking as he will try to put large amounts of food in his mouth all at once. Cognition impacts Medication. My father does not understand he has to take medication daily to maintain good health and manage his various conditions such as Alzheimers and hypothyroidism. Skilled staff need to use distraction techniques to get him to take medication (he refuses to take it and now it has to be given covertly). Hi Christine, thanks for your comments. I can see we have been dealing with a very similar set of circumstances, so thank you for your comments on how cognition relates to the domains/key characteristics. We need to keep this thread going and encourage others to contribute their advice and experience on how to present a case for appeal using the four key indicators. Thanks CTBD, please keep this topic going! My mother scored severe in cognition for a few reasons. Although they did try to lower her to a high at the local resolution meeting . I think what clinched it was when I stated that my mother would drink a boiling cup of tea if put in front of her as she has no awareness or understanding. This needs to be in your family members care plan as evidence. I just wish there was more transparency with regards to eligibility. My mother had a stroke, and is dependant on staff to anticipate and meet all her needs, due to no mobility and unable to communicate. Oh, the list goes on. I just don’t know whether is worth pursuing. Good luck with your plight. I hope this helps a little. Hi Emma, thanks for your comments. Don’t give up! Have you been given the opportunity to have an IRP? Like you we have been through the local resolution review and disagreed with the outcome and appealed. I think that CCG’s hope that the procedures and mountains of paperwork put families off appealing. The process is daunting and time consuming but by accepting decisions you don’t believe are correct you are letting CCG’s get away with poor decisions/maladministration. They have to be made accountable! You shouldn’t be made to feel defeated. I hope you keep fighting for Your dear mum. Please CTBD followers keep this topic going. 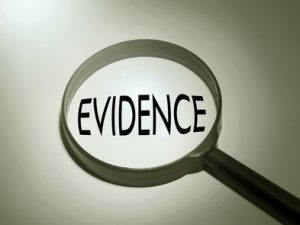 Any help with presenting evidence at IRP will be welcomed. Thanks CTBD, another excellent article which is reflective of the paperwork we have received back from CHC/CCG. Infact, if I didn’t know any better CTBD could have written the decisions made about our relative! We are due to attend an IRP, but like so many contributors on this forum, don’t have much faith in the panel being Independent. I have the letter informing us of the panel, which will consist of a person from our local commissioning group, who was directly involved in the decisions made at the local resolution stage of appeal. I have objected to the presence of this person on the basis that the meeting can not be truly independent when this person has a vested interest in ensuring the decisions they took are upheld, thus exonerating them from any blame/maladministration. The coordinator has said that the panel is Independent and that this representative has to be there to give evidence about the decisions made. I disagree. To be Independent a representative should be nominated from the local CCG/CHC that has not been involved in the case. So I have now adopted my own acronym our meeting as a IYP – Yep you guessed it……Investigate Yourself Panel! Has anyone else faced similar circumstances? Thank you CTBD for the excellent articles and contributions from readers, which have been very useful in helping me to prepare for the IYP!!! The member of the CCG concerned can in fact be present at the IRP but cannot be a panel member . The actual panel should consist of people who were not involoved in the original eligibilty decision that you are appealling . This is the only way it can be deemed as Independent. My experience of IRP was that they did not fully convey everything we discussed into their report. Much of what was discussed in my mothers case was disregarded particularly if it was in her favour . Make sure you take your own notes or better still record the meeting if they will allow it . appears that the IRP chair contacted the CCG by email prior to the meeting to tell them what she would be asking them !!!! In other words they were given the heads up to get their ” ducks in a row” Not particularly Independent . !!!!!!! Needless to say I am complaining about this . Good luck with your IRP .